Mount Auburn Cambridge Independent Practice Association (MACIPA) is a physician membership organization with nearly 500 primary care physicians and specialists who practice at Mount Auburn Hospital and are located in theBoston area, including Cambridge, Belmont, Watertown, Waltham, Somerville, Lexington, and Arlington. Established in 1985 MACIPA is a leader in its role as a physician membership organization and has helped its PCPs control healthcare costs and improve quality care for their more than 250,000 patients. MACIPA was one of the original participants in CMS’ Medicare Pioneer Contract and today is active in the Medicare Shared Savings’ Program. 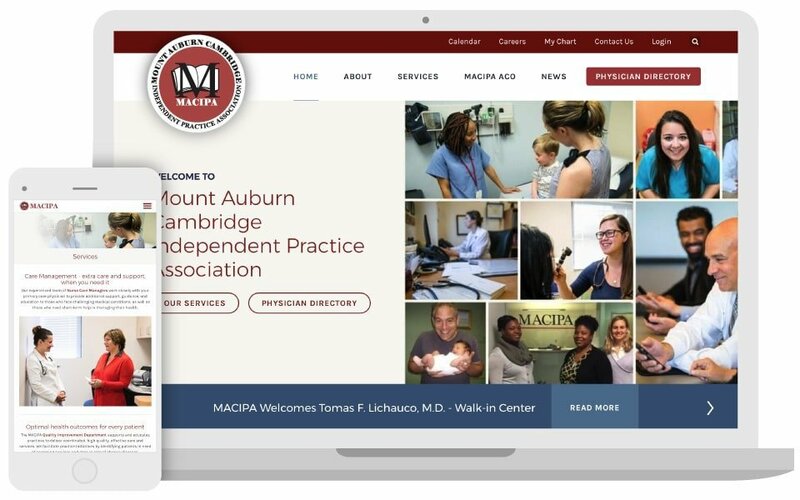 MACIPA and its member physicians develop and manage programs that lead to better health outcomes, reduction in hospital admissions, and better management of health care spending. The client wanted a brand-new website, not a refresh or redesign of their current website. The entire content was to change and a new Physicians Directory was needed with advanced search capability. 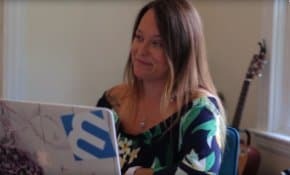 3 Media Web had a hard launch date, allowing three months to strategize, design, and execute to meet the client’s deadline. A key goal was to create a streamlined website that met the needs of physician members and practice staff. 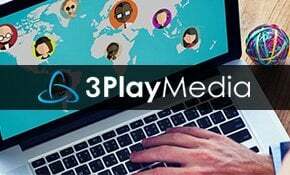 3 Media Web began the project with a series of four strategy meetings to establish the new layout of the website – what pages were needed and what was to be on each page. It was determined that the Physician Directory would be the driving force of the site, making it as intuitive and user-friendly as possible, keeping with the overriding philosophy of MACIPA of providing excellent patient experience and as a resource for primary care physicians when searching for specialists to refer patients to. The design of the website recognizes the connection with Mount Auburn Hospital by using the same overarching color scheme. The navigation throughout the site reflects the simple, clean, intuitive approach the client requested. The Physician Directory includes approximately 500 primary and specialist physicians and can be searched by physician name, type of practice, gender, and location by city. Once a location is indicated, there is an option to include practices within a zero- to 15-mile radius. In addition, 3 Media Web created a back-end feature that provides physician members and their staff with a separate website, accessed by log-in. This site includes an interactive calendar that physicians can use to schedule meetings and see the availability of their staff in real time. A valuable tool for members, the site can be used to post meeting minutes, educational materials, and a wealth of information for the staff and physician colleagues. How we helped an innovator in Senior living and healthcare communities create an employment micro-site to attract new talented job seekers. How we helped a non-profit rehabilitation and senior living facility with a modern and attractive website makeover that visually represents their award-winning service record. How we combined forces with our agency partner Wakefly to help a large growing provider of senior living and healthcare communities design and develop a new high-end large-scale website solution. How we helped a locally owned health and homecare service start-up company with new branding, a custom website design that required integration with their existing health-care services portal.